WebComercio looks over all the possibilities and medium that will boost your sales and thus innovates an effective Enterprise Mobility Solution for E-commerce businesses. We take your business to all hand held and desktop devices and provides you with best suited mobile & tablet commerce solution. WebComercio Lanzarote creates mobile apps and also makes your website mobile friendly so that your customers get a real-time mobile online shopping experience . 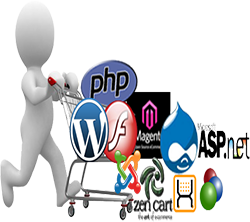 Expert e-commerce web designers and web developers offering affordable solutions that deliver. Our expert ecommerce web designers bring together professional design, product management, customer personalisation, promotional tools, comprehensive content management and tracking to create a unique and powerful sales and marketing tool for your online business The functionality behind all of our ecommerce solutions is completely scalable and flexible and allows us to configure a ecommerce solution that 100% fits your business requirements. Creativity far beyond the original through the use of the Latest Technologies.